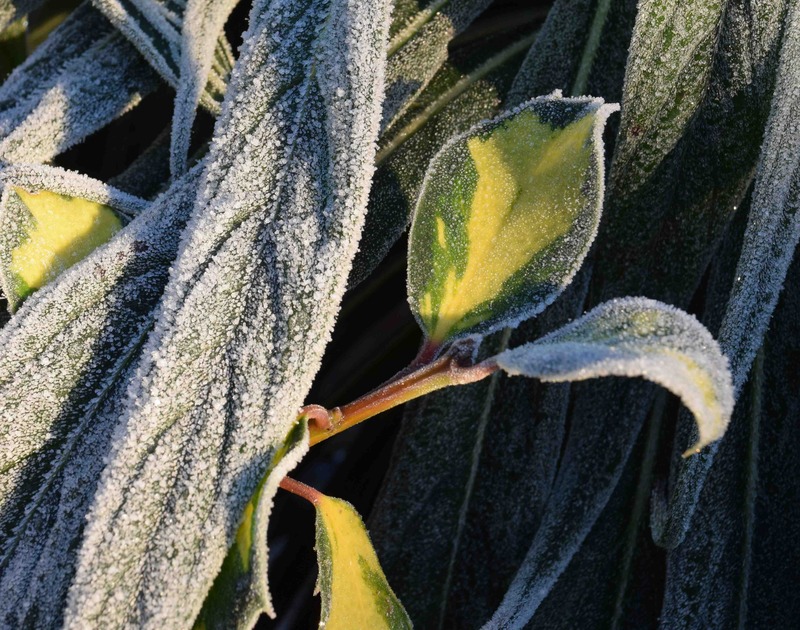 Frosty mornings do make you want to pop your slippers on and stay inside but that white coating, making the world mono-hued, has a beauty of its own. 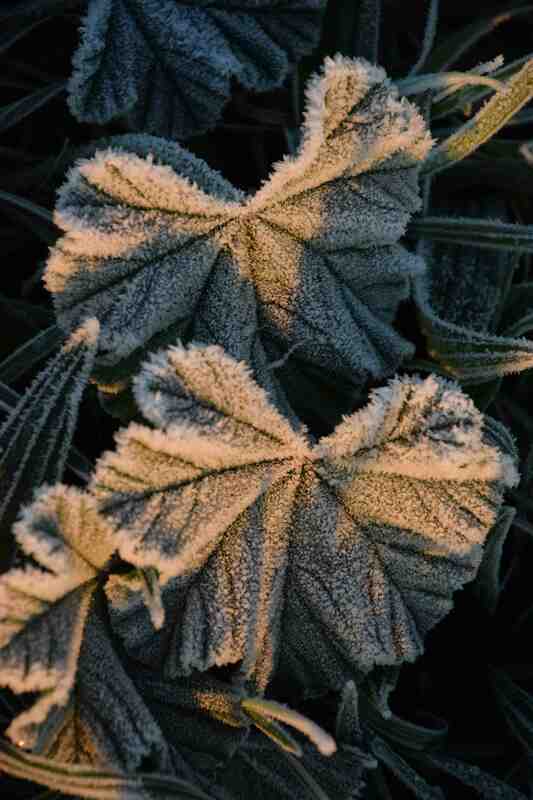 Because of the way the frost forms, it can pick out the veins and shapes of plants in ways we usually just don’t see, like the leaves of the common wild mallow (above) and the long, limp, frozen echium leaves below. 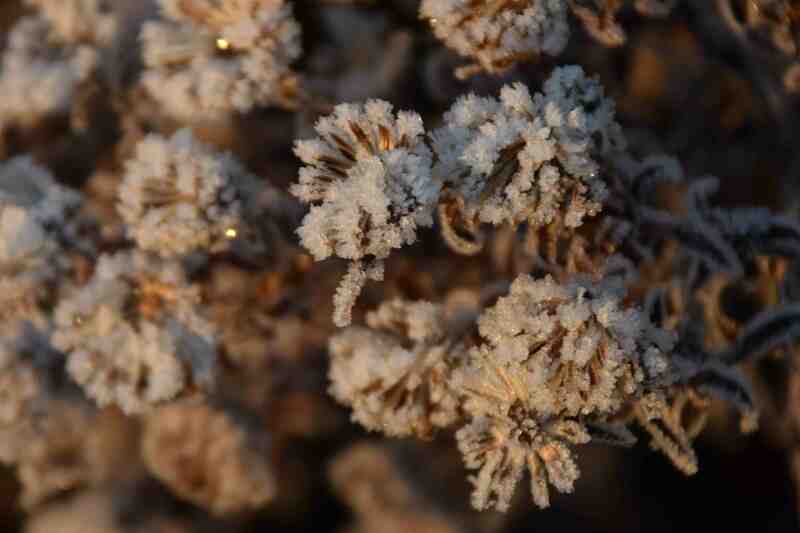 The dead seedheads of an aster have a new, fragile beauty in the frost. 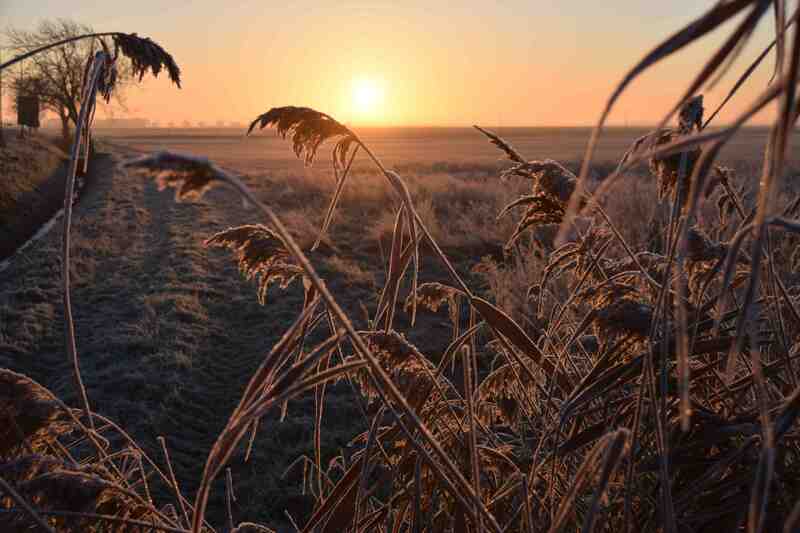 Reeds (phragmites), a typical Fen plant, look almost exotic in the rising sun. 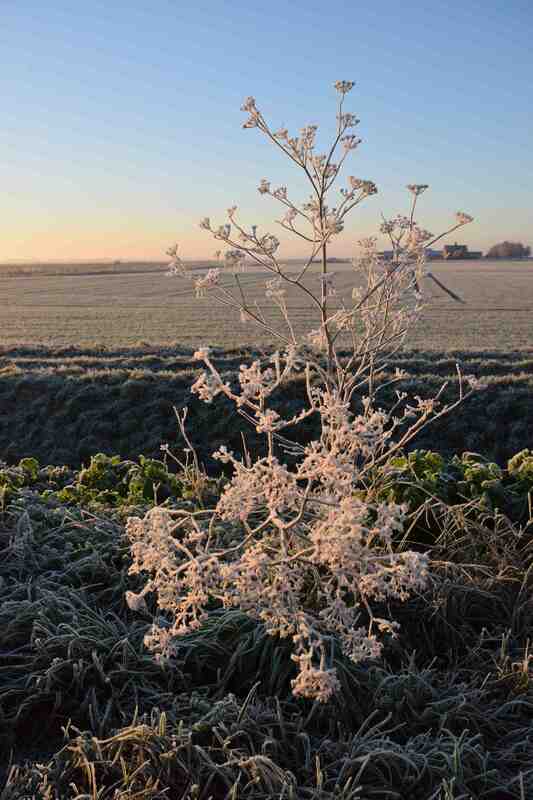 And cow parsley (anthriscus), which daubs the roadsides with white in May and June, have a second attempt in winter. 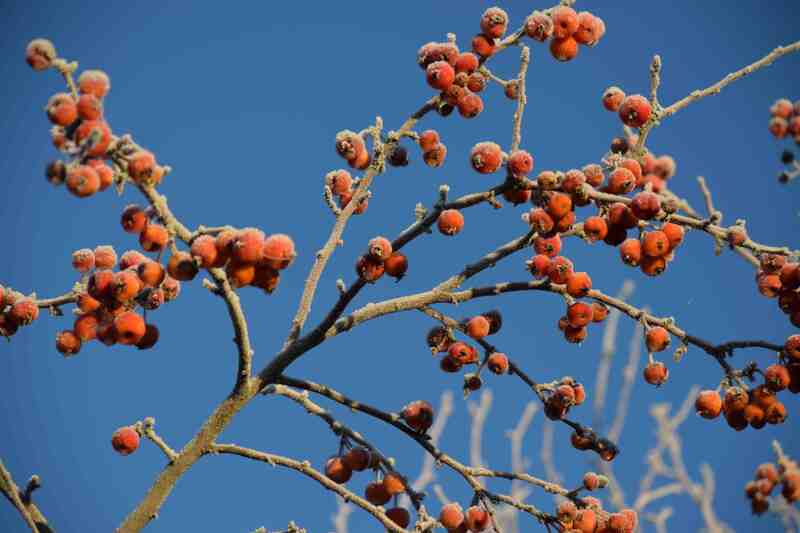 The malus ‘Evereste’ in the front garden is being stripped by birds but a few hang on. 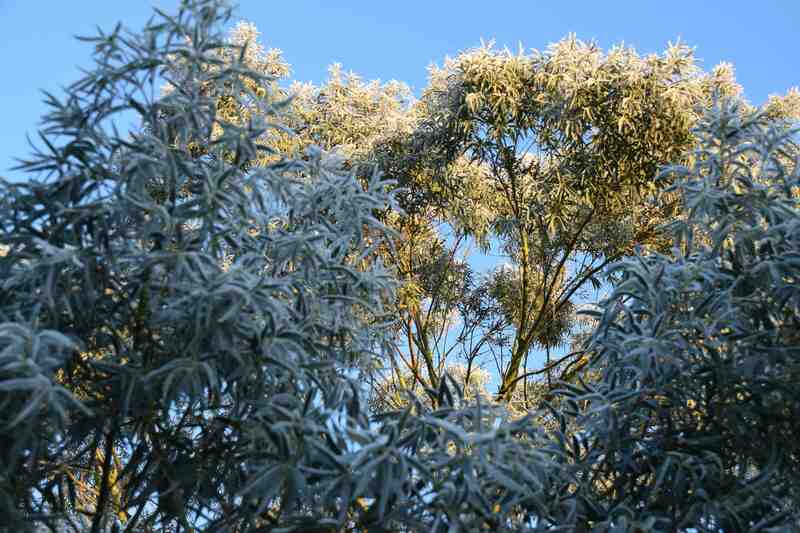 And the eucalyptus looks even more graceful when frosted. 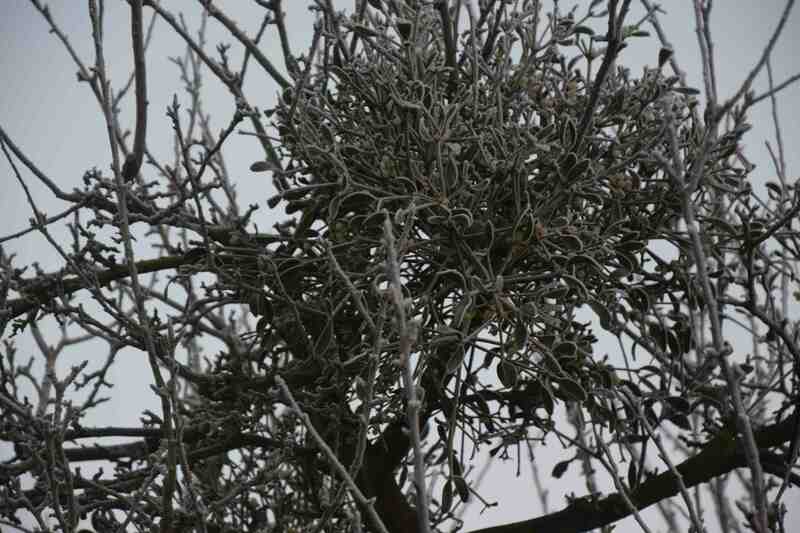 And this clump of mistletoe on a neighbour’s apple tree looks uncomfortably cold. 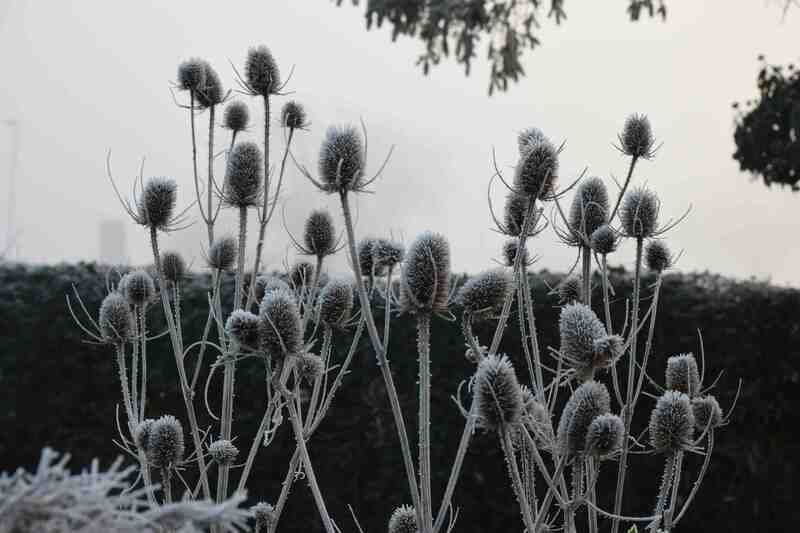 While teasels look perfectly at home in the frost, offering finches a winter meal. 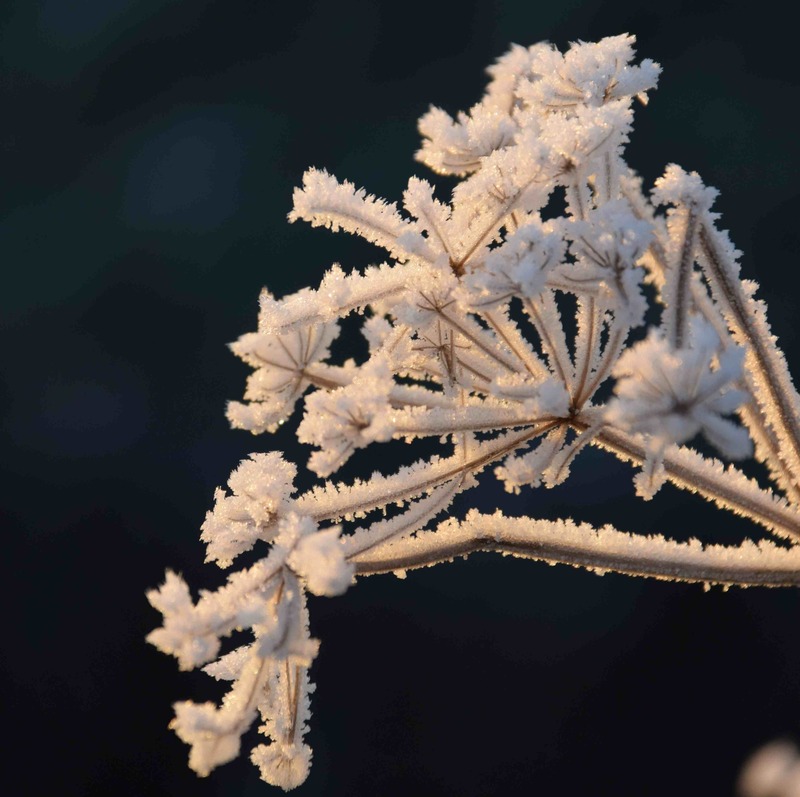 yes they have been lovely which is why I was tempted out – more pics of them to come!